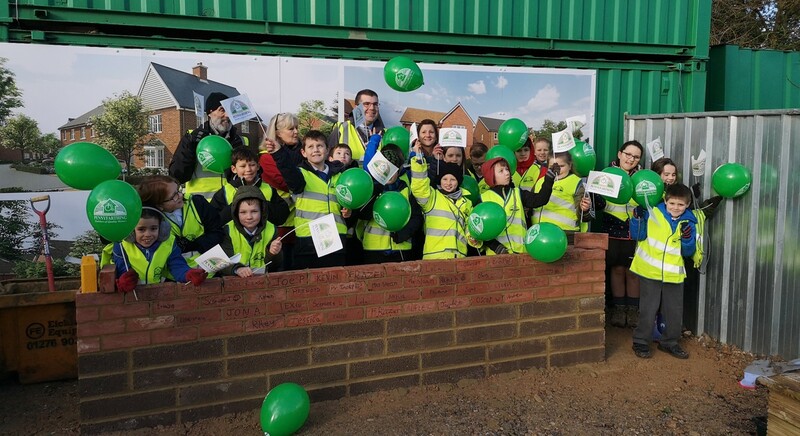 Pupils from Alderbury and West Grimstead School in Salisbury swapped classroom for construction site to try their hand at bricklaying and landscaping at our upcoming luxury housing development in Whaddon, The Orchards. Twenty pupils aged between 7 and 11 years old visited the site for a health and safety talk, to see up close a digger and forklift and try out building a wall. Ahead of springtime, the children also assisted in planting some bulbs and a tree to help create the green space around the new homes at The Orchards, which is soon to be launching to the public. Mr Wesley Thorpe, Headteacher at Alderbury and West Grimstead school, said: “The children were delighted to be involved with a development that’s just on their doorstep. Visiting the site was, for many of the pupils, their first insight into construction which made for a memorable trip. 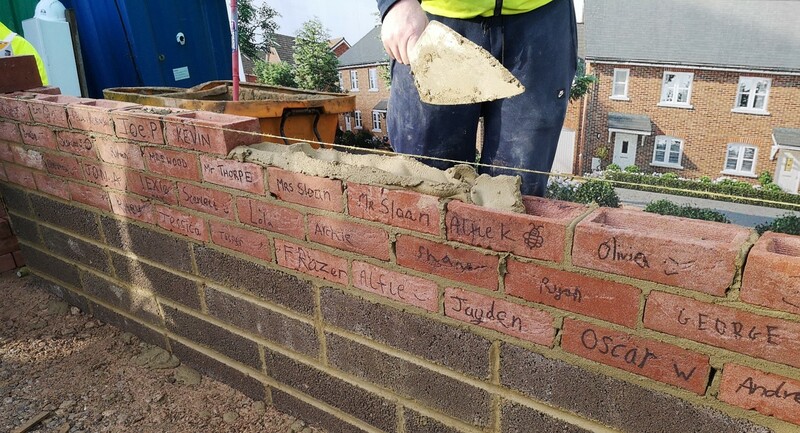 They thoroughly enjoyed the variety of activities they were able to take part in, especially being able to personalise their bricks with their names before laying them! With the guide prices of these new homes starting from £325,000, it is no wonder people are already registering their interest ahead of the launch in the coming weeks. This exclusive development comprising of just twenty-eight 3, 4 and 5-bedroom new homes is nestled in the stunning Wiltshire countryside, benefitting from vast green space and all the amenities of the local villages and the City of Salisbury.